For many patients today, receiving orthodontic care is a life-transforming experience. After living with crooked or misaligned teeth and the pain and discomfort that comes with it, feeling proud of your straight, white smile is one of the best feelings in the world! But in order for orthodontic care to deliver its full potential benefits, there is a commitment that is required. And this commitment doesn’t end after the braces come off or the Invisalign aligners come out. It continues on through the process of wearing retainers. In this post, learn why it is so important to make the full commitment to the entire process of orthodontia to ensure your smile stays straight and bright for many years to come. Why Wear a Retainer After Braces? An orthodontist knows what most patients don’t – the teeth are not as unmoving as they may appear. In fact, with the right application of special orthodontic techniques, the teeth will begin to move and realign themselves quite quickly. For most patients, the process wraps up within 18 months. But here again, what orthodontists know that patients don’t is that their teeth may not stop their movement after their course of orthodontic care is over! This is especially true for younger patients whose bodies may still be growing in every way. So this is where the use of retainers come in – to ensure all that hard work to straighten and align the teeth pays off. There are two main types of retainers: fixed and removable. As its name suggests, the fixed type is installed in the patient’s mouth. This type is typically used for the front upper and/or lower teeth, because it is the most reliable in terms of ensuring the teeth remain precisely straight. A fixed retainer is typically a thin piece of wire that most commonly installed using some orthodontic glue on either end that bonds to the back of the teeth. The removable type of retainer can be used on its own or with one or more fixed retainers. If fixed retainers are installed, the removable retainer(s) will fit right over their fixed counterparts. 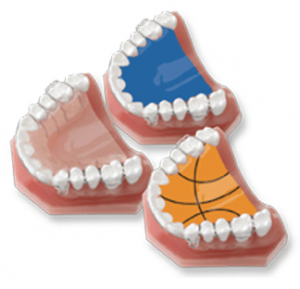 Removable retainers are easier to use since they can be taken out to eat, floss and brush or for special events. But because they do not remain in place at all times, the teeth can achieve some minimal movement during the time a removable retainer is not being worn. A removable retainer also typically uses thin pieces of wire to control tooth movement, but it does this in combination with an impression of the upper and/or lower palates that holds the retainer wires in place inside your mouth. Another option that is often used looks similar to an aligner in that it is a clear mold of the teeth with only a shallow shelf that is only barely visible from the front of the teeth. Unlike an Invisalign aligner series, once you get your retainer(s), these typically will not be changed during the time you need to wear them. They may be adjusted by your orthodontist for comfort, however. Retainers, like aligners, need daily care in order to be most effective at their job. For fixed retainers, you may need to use a special type of floss your orthodontist will give you to ensure any stuck food can be dislodged. For removable retainers, you can take them out and give them a good sanitizing soak with special tablets or liquid while you are brushing and flossing your teeth. Some patients continue to wear their fixed retainers for many years or even indefinitely after the braces or aligners come off. This may be recommended for younger patients who are still growing or for any patient who is especially concerned that their front upper and lower teeth remain perfectly straight. Removable retainers are usually prescribed for a set period of time, often a period of months. At first, you may need to wear your retainer for as much time each day as possible. After some time, if no movement (or very minimal movement) is detected in follow-up orthodontic visits, you may be able to cut back to wearing your removable retainer(s) only at night or for a few hours per day. In time, you will be able to stop wearing your removable retainers entirely. At this point you can decide whether to continue wearing any fixed retainer(s) as well or have them removed. Happily, retainers will not cause any pain. Both types of retainers are simply there to maintain all the gains from a full course of orthodontic care, so they are not moving your teeth but simply holding them in place. As well, fixed retainers will not be at all visible when you smile, and even removable retainers will present only a thin wire or a clear shallow shelf (similar to an aligner) depending on what type you are wearing. They should feel quite comfortable and unobtrusive once you get used to feeling their presence in your mouth. Gluck Orthodontics is a trusted name in orthodontic care. Dr. Gluck is a board certified orthodontia specialist (a distinction only one-quarter of all practising orthodontists today can claim). 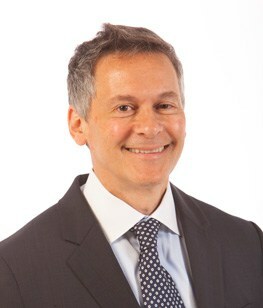 He is also a Diplomate of the American Board of Orthodontics. Dr. Gluck is heavily involved in training the next generation of orthodontists in his position as Assistant Clinical Professor for Vanderbilt University Medical School, where he lectures, serves as an attending surgeon and is accredited to operate medical lasers. Here at Gluck Orthodontics, we proudly provide our patients with the very latest in orthodontic care plus a little something extra from our friendly staff that we like to call ‘The Gluck Experience.’ To learn more and schedule your initial orthodontic consultation, call us at 615-269-5903. Or visit us online or in person. « (Why Should I Feel) Confident About Invisalign?